Robert George Talbot Kelly was the son of Irish landscape artist Robert George Kelly. After early training with his father, Talbot Kelly embarked on a career as an orientalist artist, establishing a studio in Cairo, where he became fluent in Arabic. 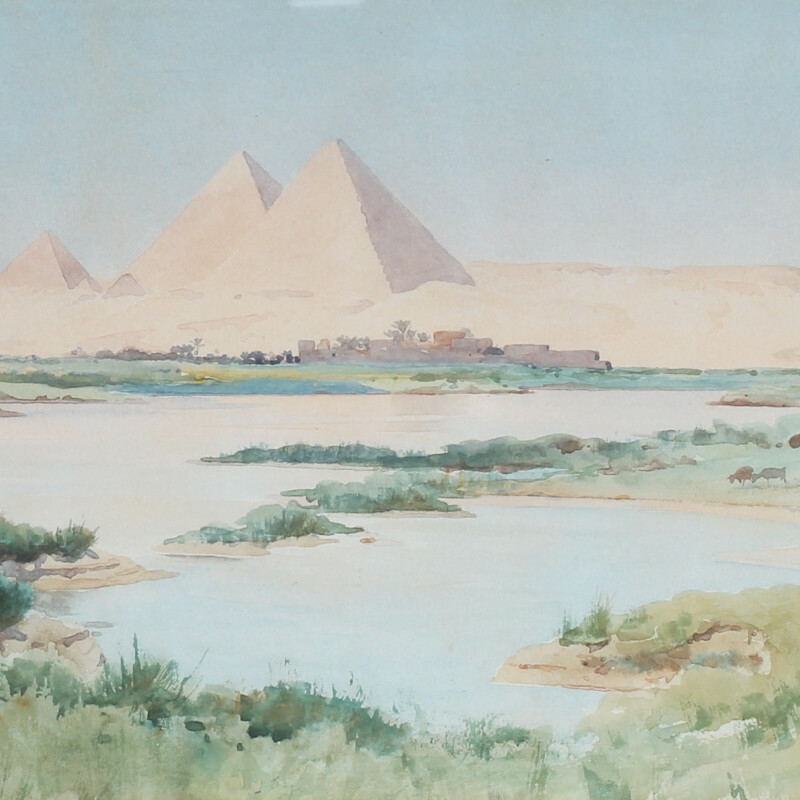 His Egyptian work covered a range of landscapes and subjects, including Bedouin tribes, which were the subject of his illustrated 1902 book Egypt Painted and Described. His depictions were exhibited in a Fine Art Society exhibition the same year. Talbot Kelly also travelled to Burma, and produced books and pictures of the country. This work is thought to have had a considerable impact on the development of twentieth-century Burmese painting. Talbot Kelly's preferred medium was watercolour. He was a member of the Royal Institute of Painters in Water Colours, the Royal Society of British Artists and the Royal Geographical Society.